Grants based on social criteria (BCS): granted according to the family's resources and expenses. These grants go from simple exemption of tuition fees and student social security (scale 0) to allocation of an annual financial sum of €5,500 (scale 7). Merit aid: since 2008-09, this has replaced university grants and merit grants. It is an additional grant for students receiving a social grant who have been accepted for higher education after obtaining distinction in their school Baccalaureate and accepted for Masters degrees after achieving the best Bachelor's degree results. The amount is €900 for 2015 secondary school leavers and €1,800 for secondary school leavers in previous sessions. Specific support (formerly FNAU, National Emergency Aid Fund): This is either an annual allowance aimed at solving specific long-term situations that do not qualify for a social grant, or one-off support to respond quickly to serious temporary difficulties. Proportion of students aided: this relates to students enrolled in university in a course that is eligible for grants (mainly national diplomas leading to a Bachelor's or Master's degree and until the 6th year of health and medical studies), STS, CPGE, engineering schools under the authority of the MENESR and State-recognised business schools. During 2014-2015, nearly 680,000 students received at least one form of financial aid, i.e. around 36% of the population concerned. Financial and social support for students reached nearly 6 billion euros in 2014, 60% of which was direct aid from the State. During 2014-2015, around 680,000 students received at least one form of financial aid (table 03.01a and table 03.01b). The proportion of students aided was stable compared to the previous year. Over one-third of students (35.8%) enrolled on a course eligible for a support (see opposite) were assisted, which is much higher than the proportion recorded in 2000-01 (28.6%). Several times, the income ceilings for allocating a social support were raised, to increase the number of beneficiaries, and different scales were created in 1999, 2008 and 2013. In autumn 2014, the income ceilings were changed. Consequently, the number of students receiving financial aid of €1,007 (scale 0bis) increased from around 54,000 to 152,000, while the number of students exempted from tuition fees fell drastically. The number of students receiving social support, which now represents 97% of students aided, rose by 2.5% in 2014, while the number of students receiving specific support (one-off or annual) decreased. 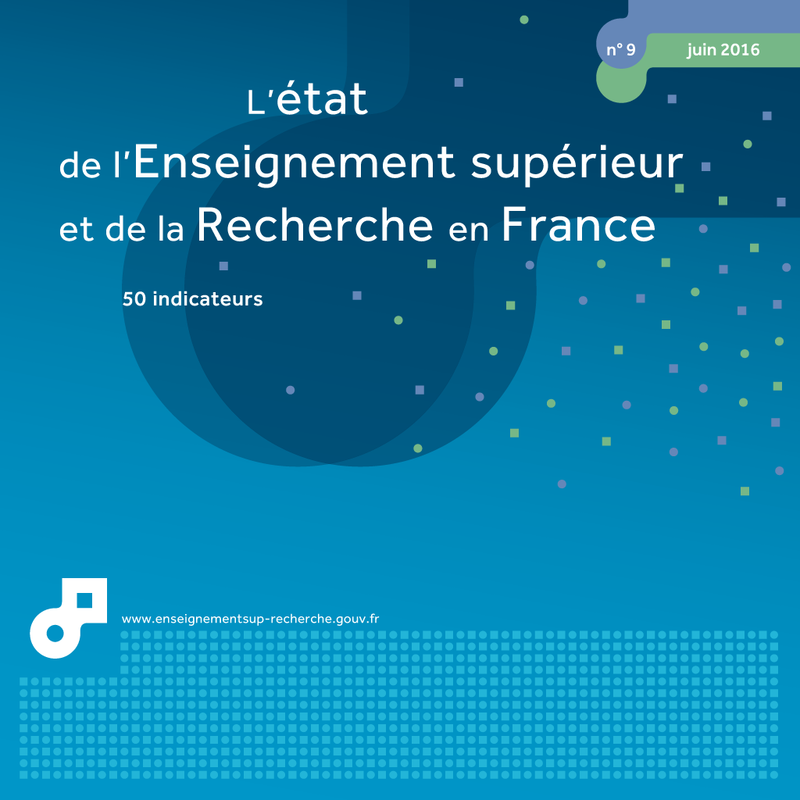 The proportion of students receiving support was stable in universities (34.7% and classes preparing for admission to Grandes Ecoles (CPGE) (27.7%). It increased significantly in Advanced technician's sections (STS) (47.5%), where this proportion was the highest (chart 03.02). These data do not however cover the whole scope of direct and indirect financial, social and fiscal support that students can receive. In addition to scholarships, loans and grants (including emergency aid) paid by the Ministry of National Education, Higher Education and Research, in 2014 direct support included social housing benefit (ALS) and Personalised housing benefit (APL) paid by the National Allowance Fund (CNAF), to which various tax benefits were added (tax reduction for dependent student, granting of an additional half-share allowance when the student is attached to the parents' tax household). Indirect support is also available. This includes social support from the French Regional Student Services Agency (CROUS), support for associations, exemption from payment of tuition fees for grant-holders, university medical and social staff and from the charge levied due to the deficit in the student social security system. In 2014, the total amount of student support was around 6 billion euros (€bn) compared to €3.5bn in 1995 and 2005 (when it was 51% and 55% respectively). Suports and loans represent the largest expense, at around €2bn in 2014 (33% of the total). International comparisons in student support published by the OECD only show grants and loans paid by the State, which for France is around €2bn. Housing benefit (ALS and APL) and tax benefits, which represented €2.9bn in France in 2014, are not taken into account in the OECD indicators. The amount taken into account in international comparisons therefore under-estimates the total amount of support received by students in France. If this support were included under the heading of public support in the same way as grants, then the share of State support would rise from 8.0% to 19.7% (2011 data) of public spending on higher education (chart 03.04). 1 It is possible to combine several types of support. Thus in 2014-15, 12,500 students received a social grant and specific, one-off support. However, it is not possible to combine a social grant and a specific annual allowance. 1 Social grants, university grants and merit grants. 2 In 2008 and 2009, students enrolled in IUFM (teacher training institutes) within a host university were not counted. There were 13,422 students receiving grants in IUFM within universities in 2009-10. 1 In 2009, students enrolled in IUFM (teacher training institutes) within a host university were not counted. There were 13,422 students receiving grants in IUFM within universities in 2009-10. 2 The transport supplement for Ile-de-France students receiving aid was stopped in autumn 2011. 3 Within universities and engineering schools.